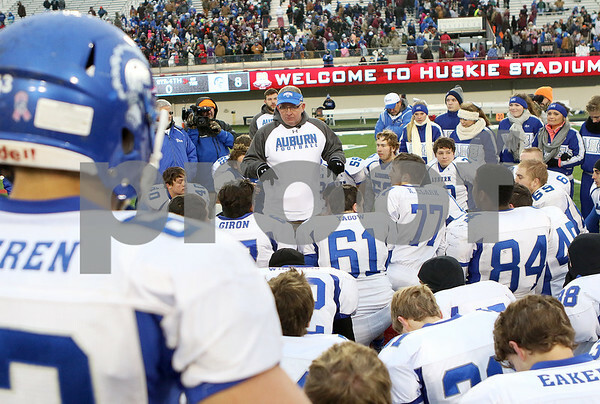 Auburn head coach Dave Bates (center) talks to his Trojans after losing the IHSA Class 2A Football Championship game at Huskie Stadium on Friday, Nov. 27, 2015. Auburn lost to Tri-Valley, 41-8. Bates has coached the Auburn Trojans for 30 years and this was the school's first football state championship game.